Arsenic (As) is a part of the earth’s crust, occurring naturally in soil and rock. Arsenic can dissolve into groundwater, the primary source of drinking water for many Americans. Some industries in the United States release thousands of pounds of arsenic into the environment each year. Airborne arsenic is washed from the air by rain, snow, and gradual settling. Once it is on the ground or in surface water, arsenic can slowly leach into ground water. High arsenic levels in private wells may also come from certain arsenic containing pesticides used in the past or from old industrial waste dumps. Arsenic remains in the environment for a long time. Until January 2004, arsenic-based wood preservatives were used to treat some wooden foundations, decks, and children’s play structures. How can I tell if my well contains arsenic? Even in high concentrations, arsenic has no smell, taste, or color when dissolved in water. The only way to know is with a laboratory analysis of your water supply. Each state’s Department of Health has a list of certified water analysis laboratories that are approved for testing arsenic. Inexpensive test at home kits are also available and have been proven to be accurate and dependable. Won’t my local health department tell me if my water contains arsenic? No. There are no mandatory testing regulations requiring local authorities to test private wells for arsenic. Testing is the responsibility of the well owner. Are there any regulations for arsenic in water? Municipal water supplies must test for arsenic. The current drinking water standard or Maximum Contaminant Level (MCL) set by the U.S. Environmental Protection Agency (EPA) is 0.010 mg/L or parts per million (ppm). This is equivalent to 10 ug/L (micrograms per liter) or 10 ppb. In 2001, the U.S. Environmental Protection Agency (EPA) reduced the regulatory MCL from 50 ppb to 10 ppb on the basis of bladder and lung cancer risks. The MCL is based on the average individual consuming 2 liters of water per day. Long term exposure to drinking water containing higher levels of arsenic increases the chances of getting cancer. What are the health concerns from drinking contaminated water? How should I do if my water contains arsenic? If your water has arsenic levels above 10 ppb, the US EPA recommends you should obtain drinking water from another source or install a water filtration system. Concentrations above 10 ppb increases the risk of long-term health issues. For many people, no amount of arsenic is considered acceptable in their drinking water. It is especially important to remove arsenic water if you have children or are pregnant. Arsenic has been found at low levels in mother's milk and will cross the placenta, increasing risks for the baby. What type of water filter do I need to remove arsenic? There are a number of WECO water treatment options available. 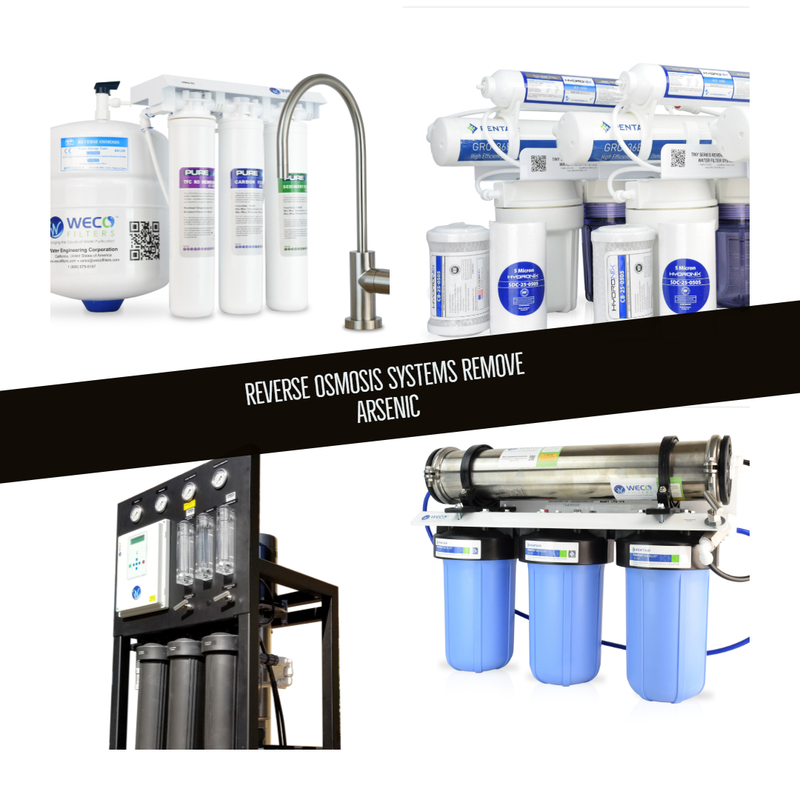 Reverse osmosis (RO) and adsorptive media are most commonly used for point-of-entry (whole house or business) systems. A WECO under-counter reverse osmosis system will also remove arsenic and a variety of other contaminants but won’t provide purified water to every faucet in the home. 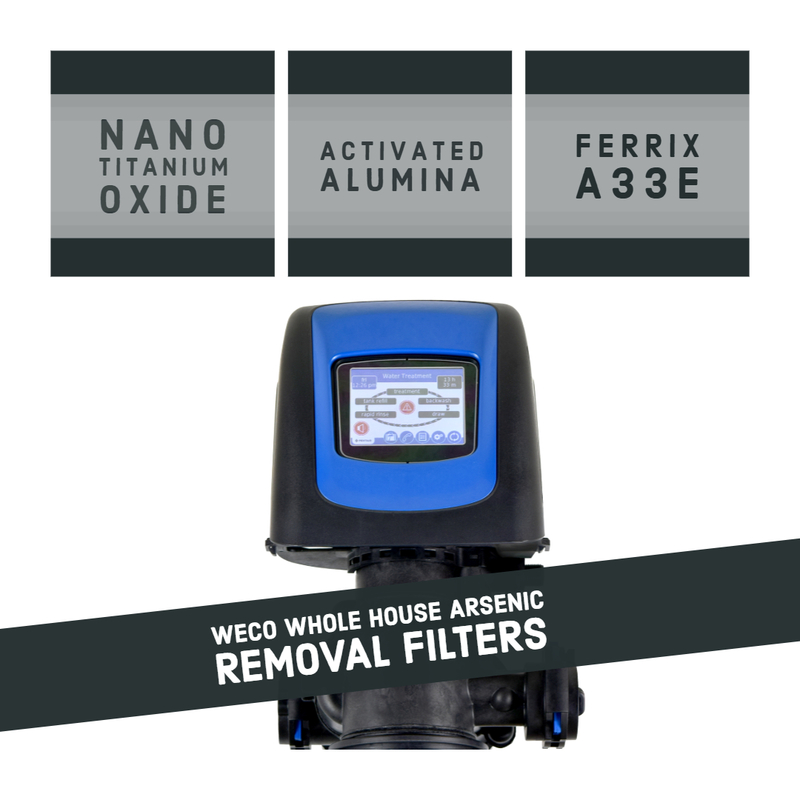 The following WECO water filtration systems will remove arsenic. You do not want to play with this application, the liability is very high when attempting Arsenic reduction. Proper equipment design is essential for the application that would be adequate to reduce the contaminants down to an acceptable level. Call us to discuss options. Katalox light can also be used to reduce Arsenic levels. However, this only applies when iron has been built up on the media. Iron co-precipitates onto the ferric iron. Once the system is backwashed the ferric iron is removed and Arsenic will pass through the media. It is an effective part of a redundant design. Anytime Arsenic reduction is attempted a redundant system design is important. This is why we combine Katalox light with nano titanium oxide for most applications where Arsenic levels exceed EPA primary maximum limits. The WECO backwashing filters are point of entry filters that treat all the water that enters your home or business. WECO reverse osmosis systems are available for both whole house use and point of use applications. WECO Hydra point of use reverse osmosis systems are under-counter water purification system suitable for residential and commercial use that does not require that every water source be arsenic-free. Hydra reverse osmosis systems installs under your kitchen cabinet. A purified water storage tank delivers fresh-tasting fluoride-free water right to a designer dispensing faucet. 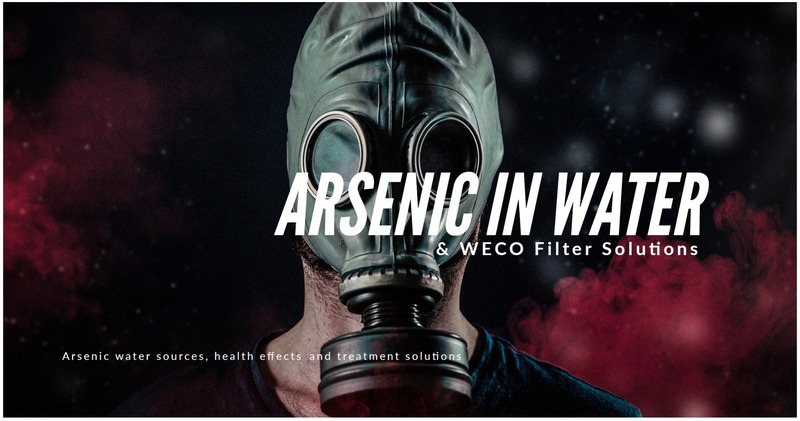 For more information on arsenic removal and to obtain help selecting the best filtration system for your needs, please contact WECO technical support at (888) 675-5187.